Uranus is considered as the coldest planet in the solar system. It is located in the seventh position from the sun. The average distance between Uranus and the sun is around 4.5 billion kilometer. The top part of Uranus has the temperature 49 K.
Just like any other planets in the solar system, Uranus has its own tilts. It is around 99 degrees. You can imagine that Uranus’s orbit is like a rolling ball. A day in Uranus is around 17 hours. It is shorter compared to a day on earth. However, if you live in the north pole of Uranus, you have to spend 42 years in North Pole in darkness. The second least dense planet in solar system is Uranus. Saturn is the least dense planet. The density of the planet is around 1.27 gram per cm3. The density makes people experience 89 percent force for gravity even though Uranus is bigger than earth. Many people think that the only planet with rings is Saturn. 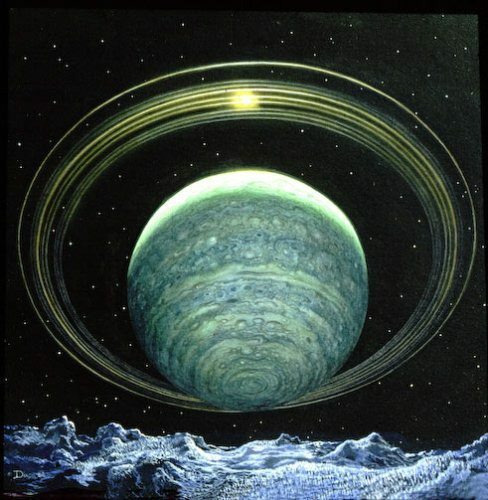 Actually Uranus also has rings. If you have a backyard telescope, you can see the rings clearly. The rings of Uranus are a bit dark and narrow. If you take a look at the atmosphere of Saturn or Jupiter, you will be amazed with the band of cloud on the tops part of the planet. 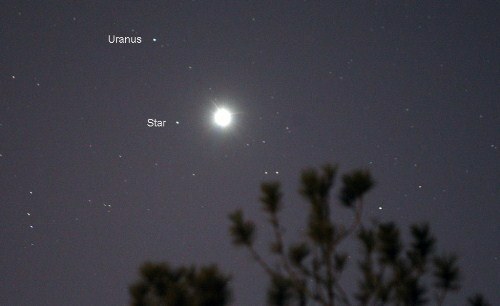 When you see Uranus, you will get bored with a blue ball. If you use an updated telescope, you can identify pattern and band of cloud on Uranus. Each planet has a moon. Earth only has one natural moon, but Uranus has 27 moons. Most of them are lightweight and small. The discovery of Uranus occurred in modern age. When the telescope was invented, John Flamsteed was the man who firstly recorded the planet in 1690. At first, this man thought that it was one of the stars in constellation Taurus. The man who recognized it as a planet was Sir William Herschel through his observation in 1781. The human being can perceive Uranus without using any telescope. You just have to stay in the magnitude of 5.3 to see the blue planet without any instrument. If the sky is too dark, you can use binoculars to make it visible. In January 1986, Voyager 2 of NASA made an observation to Uranus. It approached Uranus within 81,000 km from the top surface. 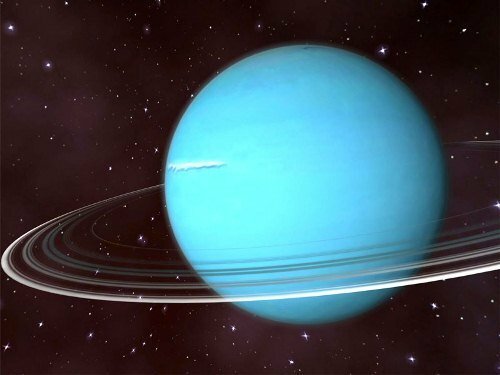 Since Uranus is not really closer to earth, the planet is only visited once by the NASA spacecraft. There were thousand photos of Uranus and moons taken by the spacecraft. 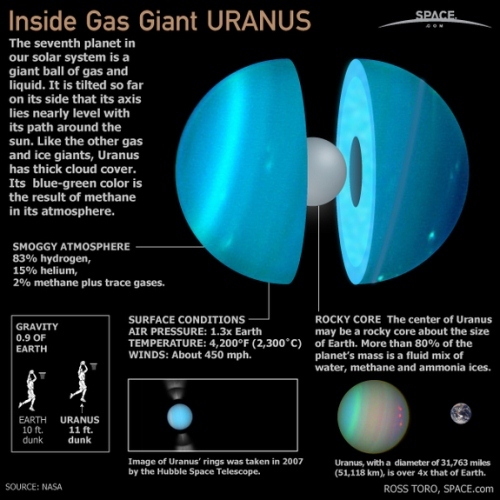 Do you have question on facts about Uranus? If you curious about the moving thing on the space, you have to read the explanation about asteroids facts.